Push staging changes to live without overwriting data. Undo changes. Enjoy the benefits of Git in WordPress. VersionPress is a version control plugin, powered by Git. VersionPress.com is a user-friendly hosted solution with many of the same benefits, without the complexity. VersionPress is an open-source plugin that integrates WordPress with Git. You can branch, merge, undo changes, see who did what, and more. 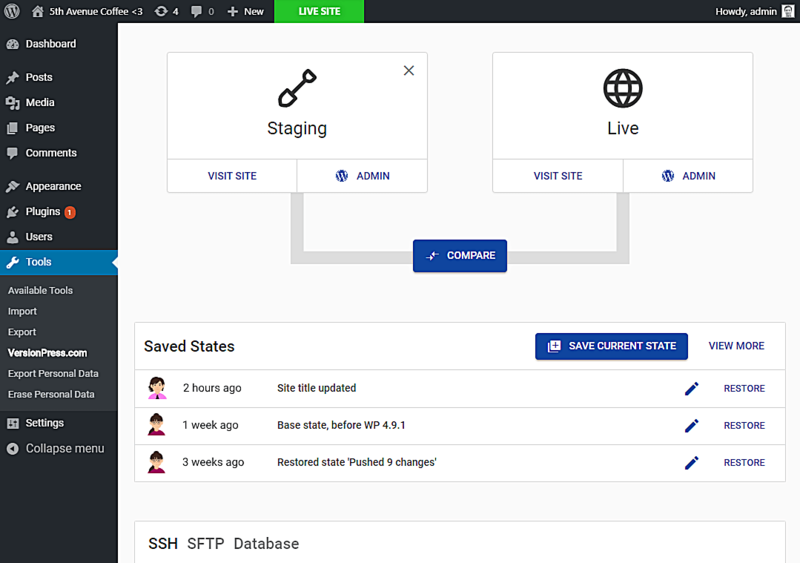 VersionPress.com combines lightweight, Docker-based hosting with killer features like push to production without overwriting live data. Find out how the two compare, exactly. We're always thinking how to make the core technologies useful in new ways. Local, Docker-based environments are coming soon, with more products in the pipeline.